Nick. Gorgeous. Images in the Nicholas Hoult club. 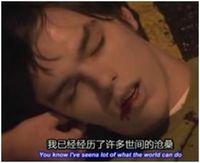 This Nicholas Hoult icon might contain portrait, headshot, closeup, anime, comic book, manga, and cartoon.